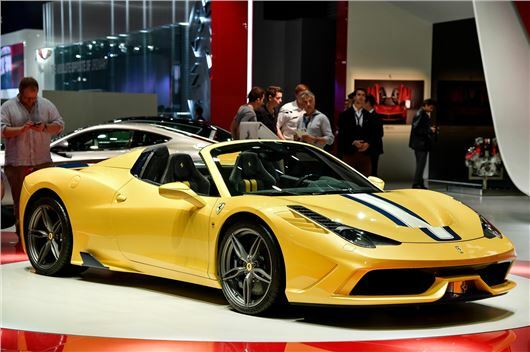 Ferrari has premiered a limited edition 458 Spider at the 2014 Paris Motor Show. 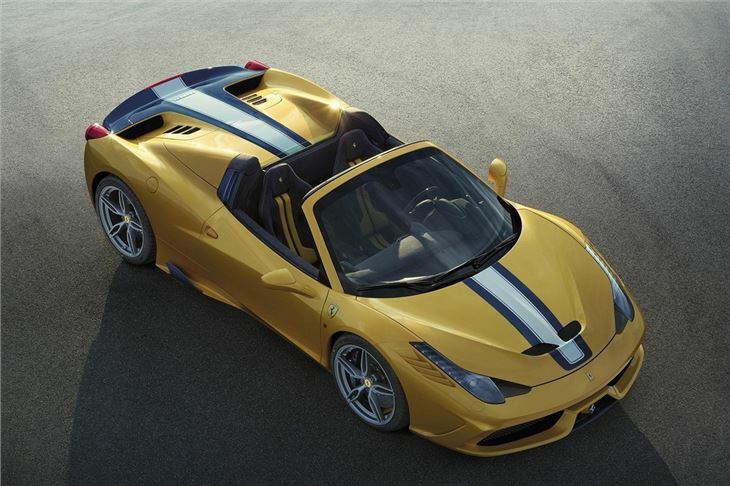 The Speciale A (A for Aperta, or 'open') model is limited to 499 cars and is expected to cost around £230,000. 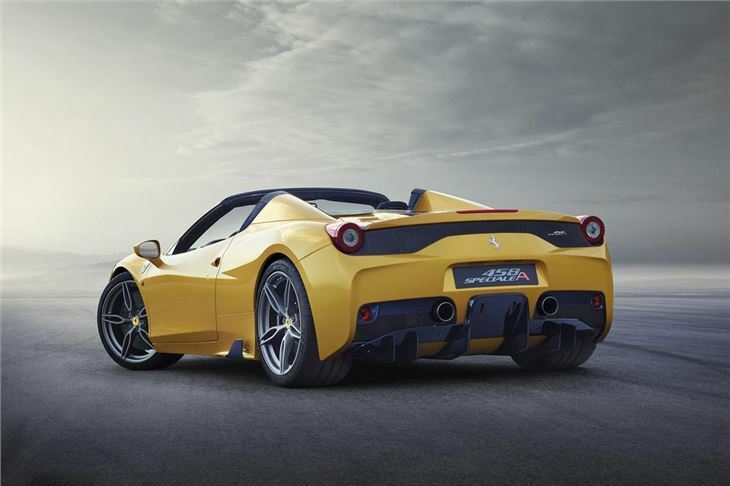 Power comes from a V8 engine producing 605PS, with 540Nm of torque. 0-62mph takes 3.0 seconds. 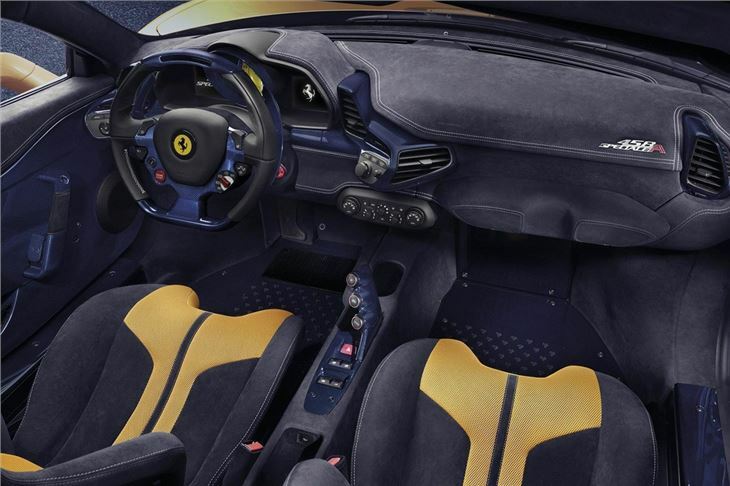 You might not expect Ferrari to think too much about the environment but emissions are 275g/km – a figure comparable to a family saloon from ten years ago. The aluminium roof can be folded electronically in 14 seconds. 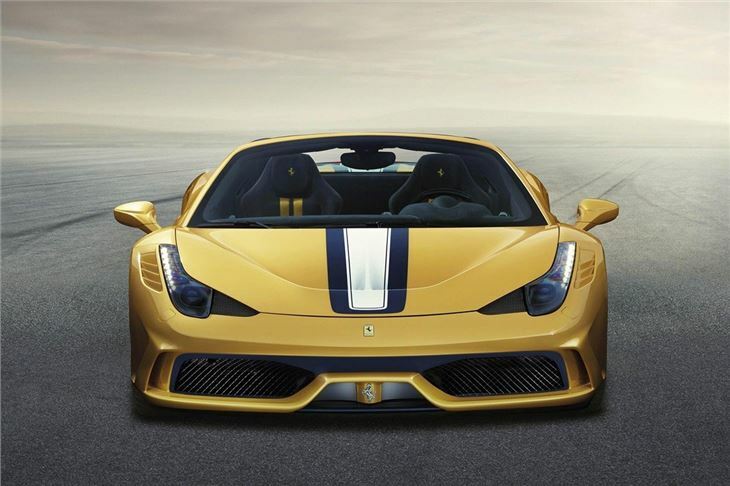 It increased weight over the 458 Speciale hard-top but the performance difference between the two is negligible.